Over the Rainbow: Scarlet Lime Giveaway!! So, after months of sharing my many, many MANY Design Team rejections, I'm quite incredulous to report that I'm joining the team over at Scarlet Lime!! For at least 2 years now, I have wasted many a perfectly good afternoon scrolling through all of the past Scarlet Lime kits and drooling. A lot. I especially love the new Frugal Fab kits--lots of pretty and fun product for under $20!! But, what's in it for you, you may ask? Good question. I have here a kit for one lucky reader! It's the beautiful October main kit. Just leave a comment below for your chance to win--I will choose a winner on Sunday, October 10th, at 10pm. (10/10 at 10:00--easy peasy). But the fun doesn't end here! Check out the other DT gals' blogs for more chances to win! 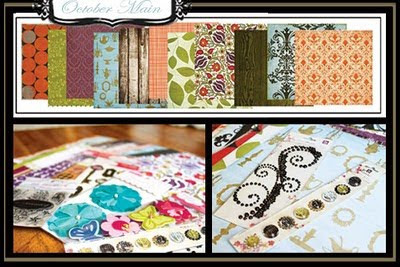 Some are giving away main kits, others are giving away the Frugal Fab kit, so have fun hopping! Oh wow! That's so awesome! Huge congrats to you! Yay! Yay! Yay! Congrats girlie!! I am sure to see many a ST page using these fab kits, I'm sure!! Look who's a scrap superstar now! Never doubt yourself, always remember that. Congrats Keshet, what a great news!!! Scarlet Lime is a great kit club, I subscribed to it for over a year, and loved their kits, very fun and colorful(hope I can subscribe again in the future). Thanks for the chance to win!! Congratulations!! Thanks for the chance to win! congrats!!!! that is so awesome!!! those kits are the bomb...i use to sub to them at the very beginning and had to stop due to time and money, LOL! congrats, again. i have been routing for you, i love your work and your spirit! Thanks for the change to win! Wow! Congrats, Keshet! So excited for you and your new DT role at Scarlet Lime! WOW Keshet! Another one. Congrats! Holy cow girly you are on a roll & on some amazing teams! Huge cngrats again! So well deserved! Great kit, I'd love love love to win it. Congrats Keshet - what great news!! Oh Keshet! How exciting for you!!! Can't wait to see what you come up with every month! Congrats! I'm a recent new subscriber to the frugal fab kit so I'll be seeing your work often! Yeah! Congratulations! I love the Scarlet Lime kits, even thought I've never bought one. Thanks for the chance to win. Awesome! Enjoy your success; it is well deserved. Congratulations!! You so deserve it! Congrats again! I'm so happy for you. I've always loved your blog. Thanks for reading mine too :) Love the kit BTW, can't wait to see what you do with it. WOW such exciting news for you! I'll definately be checking out the galleries. I'm always a gallery stalker over there. Congrats! Congratulations! I can't wait to see your work! Your scrapbooking stars are definitely in alignment. I also drool over Scarlet Lime kits and I would love to win this giveaway. Very pretty kit. You can knock out some beautiful layouts with this paper. YAY YOU!! Congratulations!!! I bet I have an inkling about how excited you were to be accepted to this design team! Look at you joining design teams left and right and up and down :) Congrats! I've drooled over Scarlet Lime kits many a time as well. Congratulations on joining the team. I enjoy reading your blog. yeah babe!!!! congrats miss K.
They are lucky having you for ambassadress. Huge congratulations, Keshtet!! I'm sooo excited for you! Congrats!! Interesting blog! Scarlet Lime kits are awesome! Lucky you!!! You are just all over the place, designing for everybody, I love it! Congrats and thanks for the chance to win an awesome kit! YAAAAAYYYY!!! SO proud of you!! I was just on their site and saw your pic so I had to rush right over to say CONGRATS!!! You will be fantastic!! Keshet!!! how cool is that :) big congrats to you girlie! Congrats on your design team gig! Thanks for the chance to win. Congrats. Scarlet Lime is the big time (in the scrappy world)! Congrats!! And fun giveaway! Might I mention that my niece turns 10 today, on 10/10/10! How cool is that?! Congrats! How fun to be a part of their team! What I Wore Wednesday and some Exciting News! Scarlet Lime layouts and the lucky WINNER!